Catherine Delorus Marsh, 69. Sunrise March 7, 1945 in Williamson, West Virginia and Sunset October 24, 2014 in Columbus, OH. She was preceded in death by her parents, John and Helen Naomi Roach Thigpen, stepsons, Keith Marsh, Lamont Hill, and Eric Marsh, brothers, Charles, John Arthur, Jerry, and James Thigpen, sisters, Mary Frances Moore, Dorothy Dunaway, and Linda French. 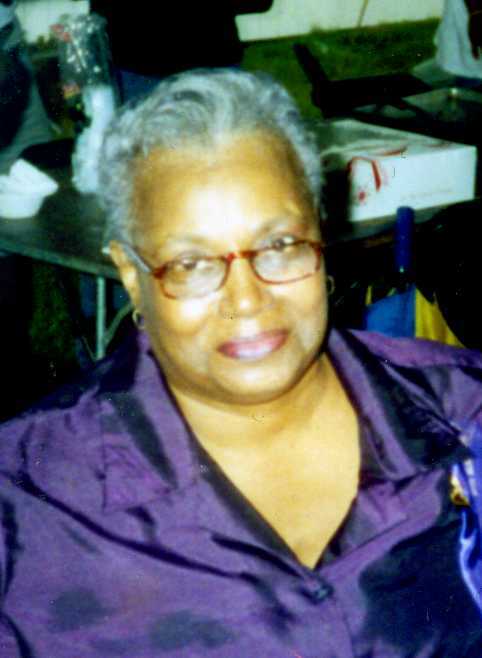 She leaves to mourn her passing, sons, Carl Brown, Zachariah (Charlotte) Brown, stepsons, Byron Woods, Marvin (Angelyn) Tillman, and Jermaine Doctor, daughters, Joyce Brown and Maxine Brown, stepdaughters, Edith Marjorie Turner, Karen Teze, and Wanda Murry, brothers, Wilbert (Willie Ester) Thigpen, Ronald (Gina) Thigpen, and Guy Rondo, sisters, Ruth Juanita Sanders and Peggy Thigpen, 28 grandchildren and 20 great grandchildren, and a host of other relatives. Visitation 11:00am and Funeral 12:00pm, Friday, October 31, 2014 at Advent Church of Christ 2303 N. Cassidy Ave. Interment at Forest Lawn Memorial Gardens.